I love carrot cake! 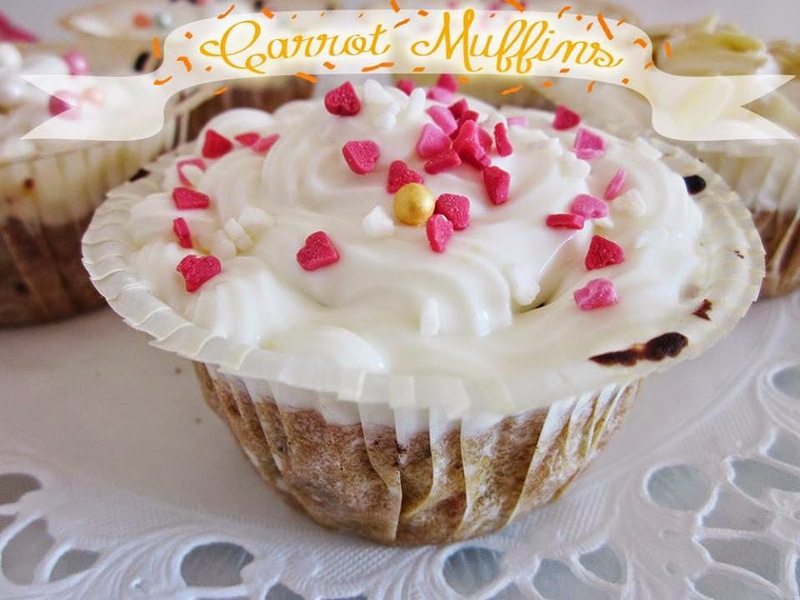 What I love more than carrot cake is carrot muffins! They are more easier to make and in my opinion they taste and look better! 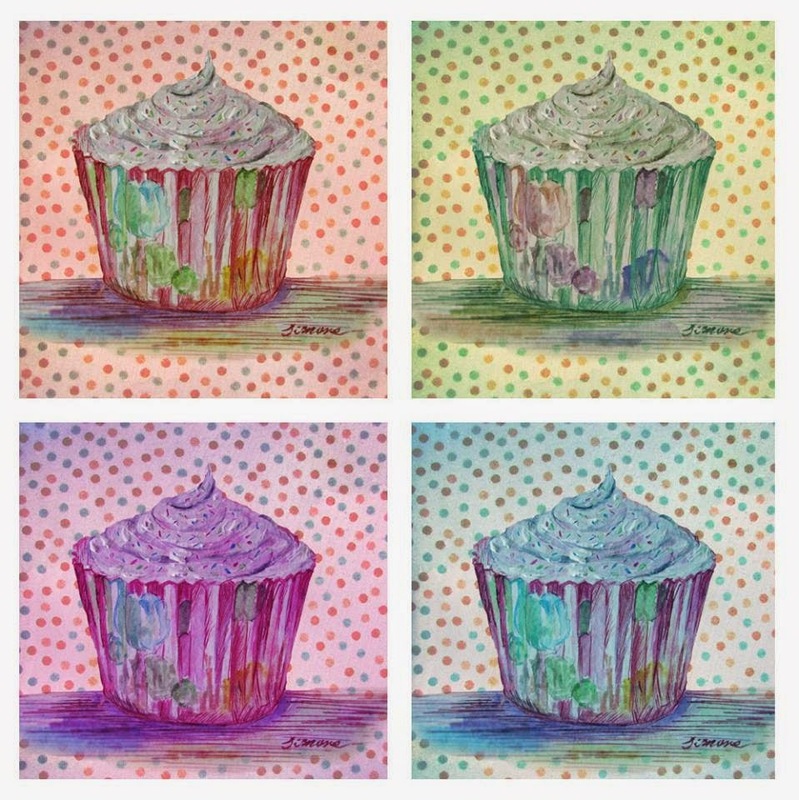 This was my first time I make those muffins, they attracted my artistic eye so bad that I had to paint them! Check the sketches at the bottom of the post. 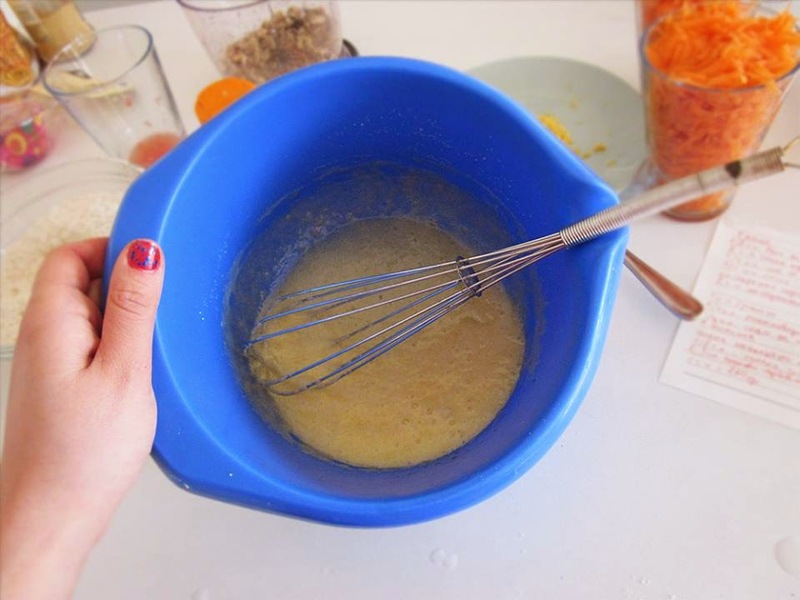 Start with mixing all the “moist” ingredients: eggs,oil , the orange/grapefruit juice. Then add the sugar and the honey. 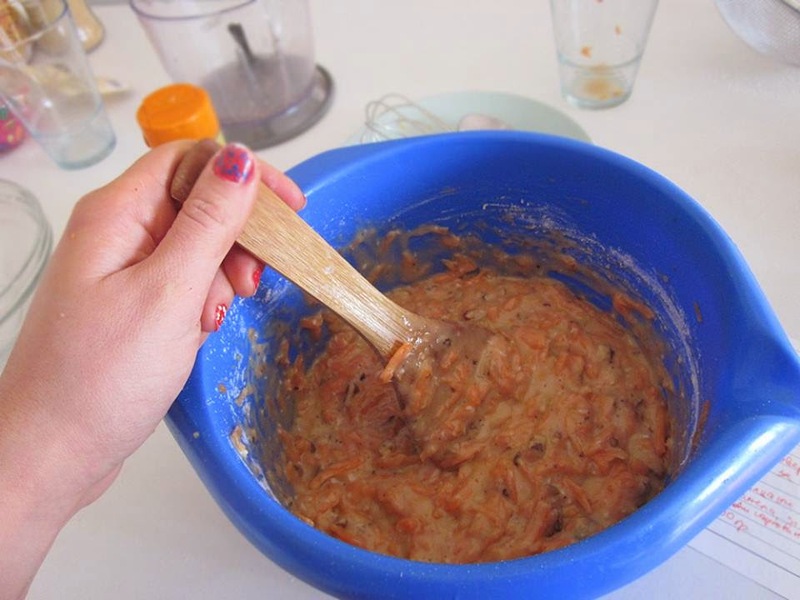 Whisk them good but without using an electric mixer . Add the carrots and the zest. 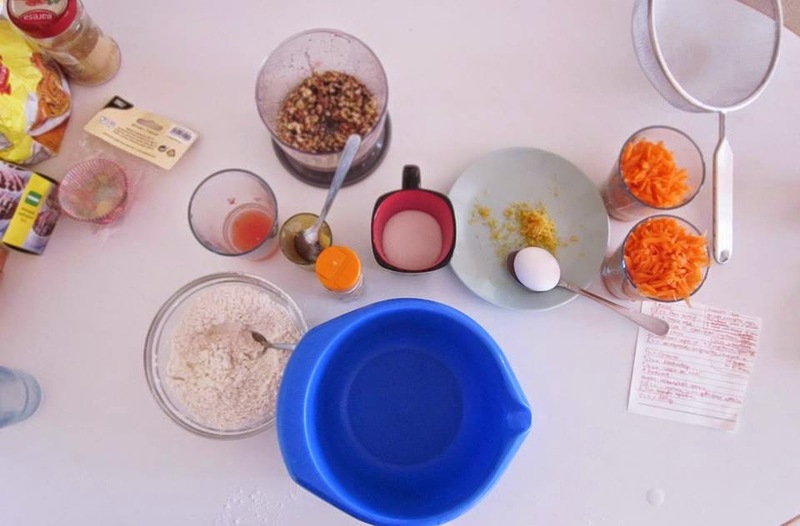 Mix all the ingredients well and add the “dry” ones last: flower, baking powder, baking soda, vanilla aroma, spices, walnuts, coconut. Set the oven to 180ºC and bake 25-30 min. 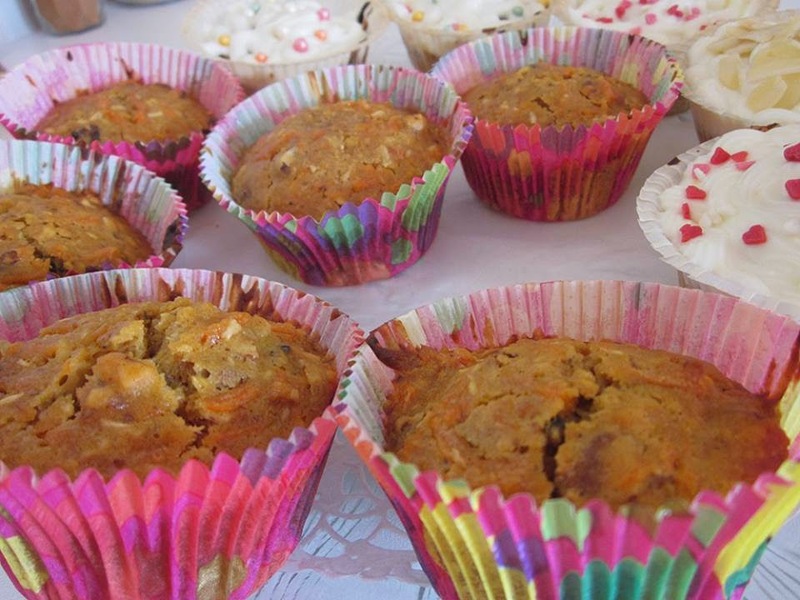 Leave the muffins to cool down. Meanwhile you can start preparing the cream. Just mix all the cream ingredients in a ball using an electric mixer. You can use whatever decoration you have and want. But it was a fun experience. 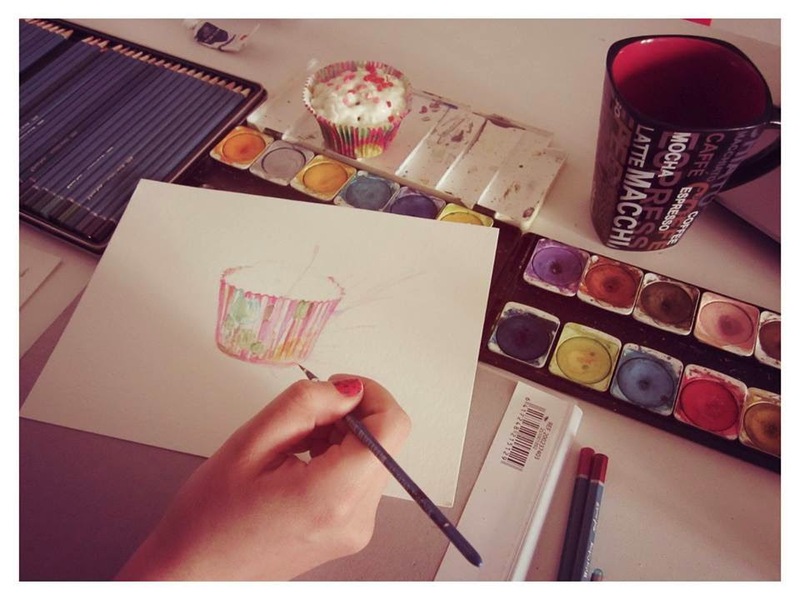 Stay tuned for my next cooking-painting experience. I take also requests! oooooh they look so yummie!!! 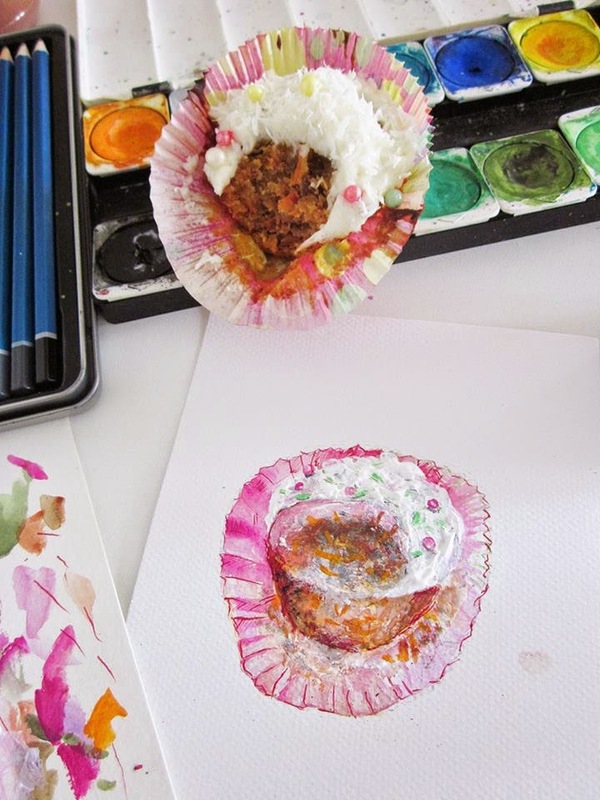 and the illustration is just as yumie as the real thing! 4 Simple Ways to Refresh Your Home for Spring!